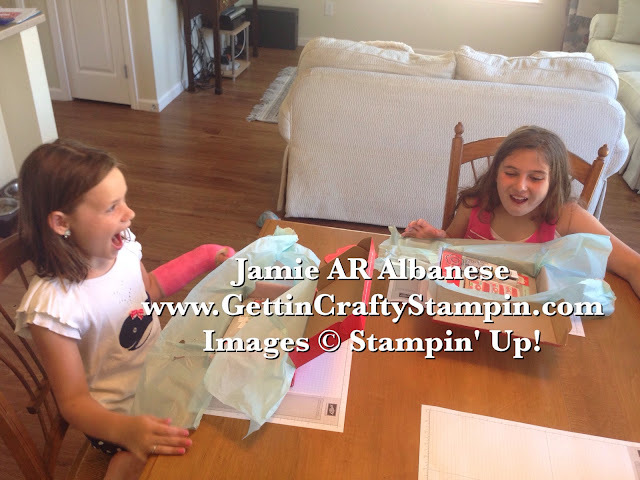 When our girls wanted to craft with us, several moms who enjoy my Paper Crafting classes and/or who are in my Gettin' Crafty Stampin' Team. 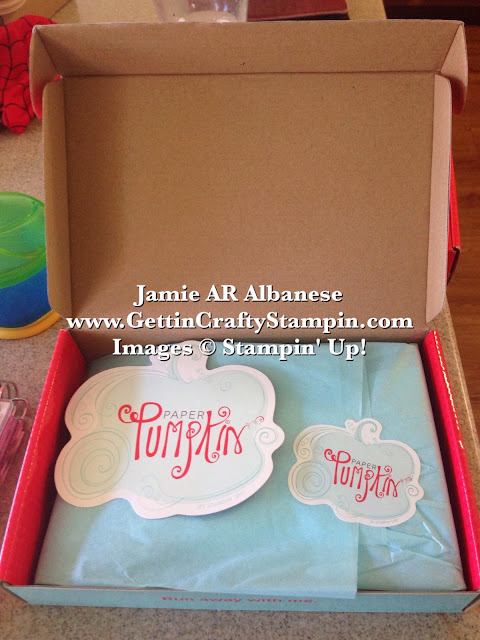 Many of us enjoy our My Paper Pumpkin and realized that it's the perfect fit for our kids!! 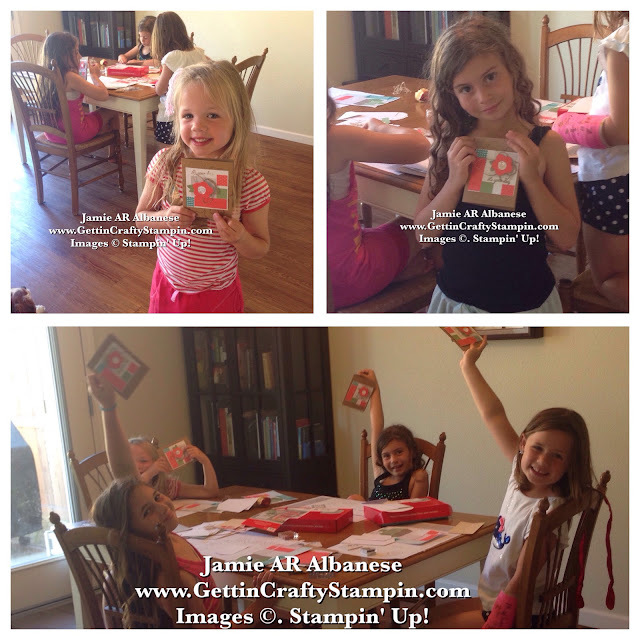 The kids have taken over - and now lead a self-lead group of fun crafting every month! A great crafting escape for all of the seasons in your life! A full kit with EVERYTHING you may need to create fun paper crafting projects. Adults, Grandparents, Moms, Kids... these kits are fabulous in allowing creativity to flow! Seriously - these girls are too cute! When the kits are shipped a fun email is sent to let you know when to expect it. The moms in the group organize a day that is convenient of all of us (some are out of town or unable to meet and create the kits when it is convenient to them). Click Here - see the OPTIONS in saving on these great kits! Need to Skip A Month?? MyPaperPumpkin has that option! Simply enter your profile and opt to skip a month (but with the convenience of it's waiting for you, you may not want to skip the fun at all!!). 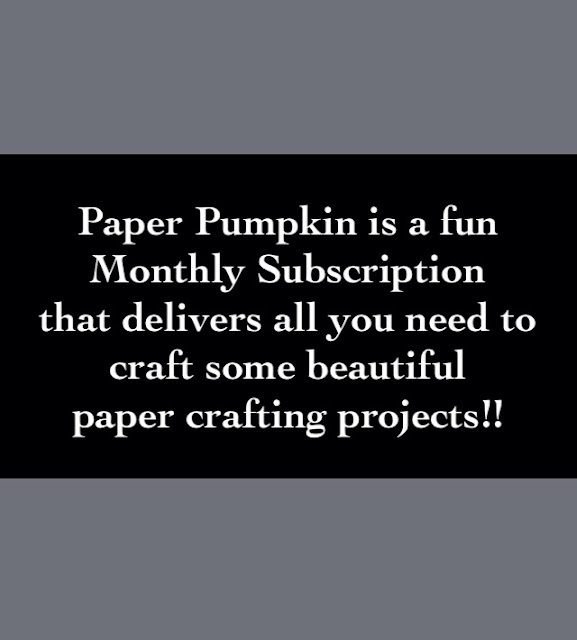 My Paper Pumpkin comes directly to your door and you everything you need to craft at your convenience. These full kits are thoroughly enjoyed by Adults and Kids!! 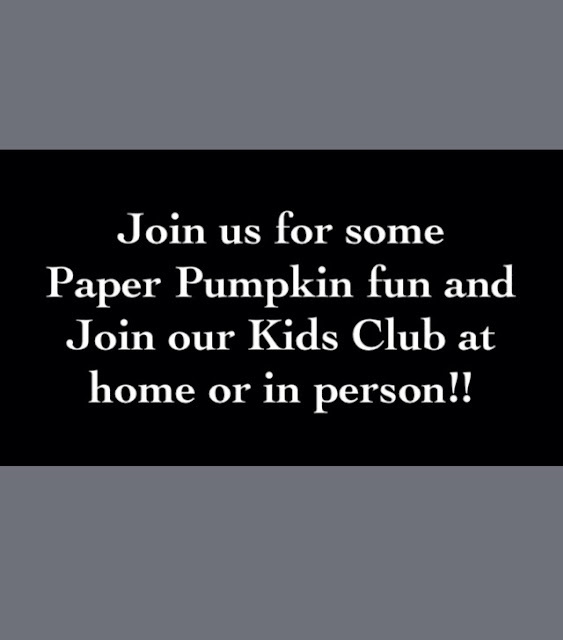 They come with a fun assembly video that MyPaperPumpkin.com and I post on my blog. 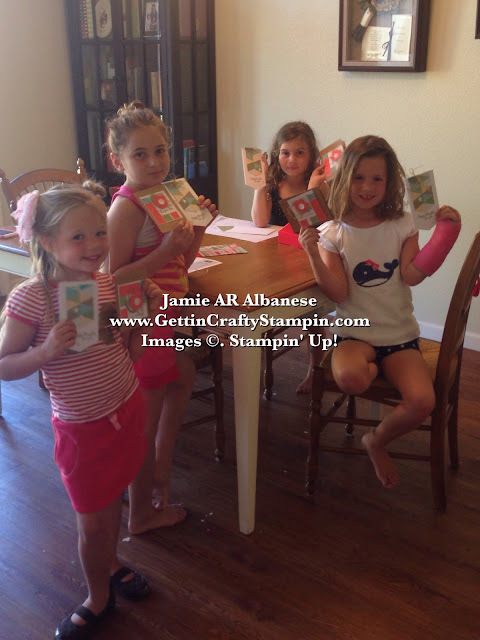 With boys and girls in our club from ages 5-11 this has been a fun time for the kids to create and not demand a ton of mom's time (a great time for us moms to connect and get a break - lol). I also have an amazing collection of Women and a Man who order and enjoy these all-inclusive crafting kits. 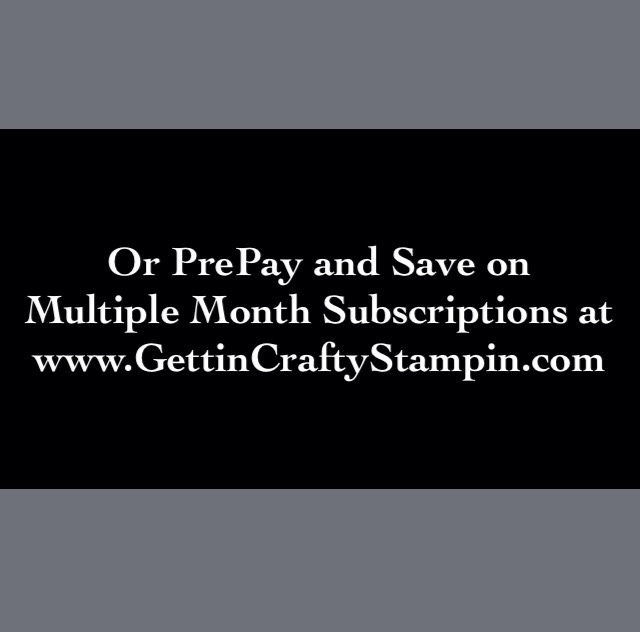 ~Or contact ME, Jamie Albanese to order your discounted pre-paid subscription.